The chassis of this car started as a Bizzarrini P538 (P stands for "posteriore", that means rear-engine, 538 for 5.3-litre-V8). It was the third chassis (out of 4 cars in total! ), and was listed for the 1966 race at Le Mans. 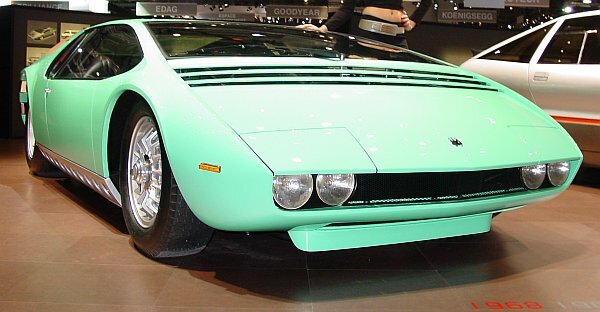 In early 1968, Giugiaro contacted Bizzarrini, because he wanted to start his design-company with a breathtaking showcar. Bizzarrini gave him the rebodied Le Mans racer, and Giugiaro did a phantastic job. The car shows a lot of glass. but during the restoration the car got back its original color-scheme. 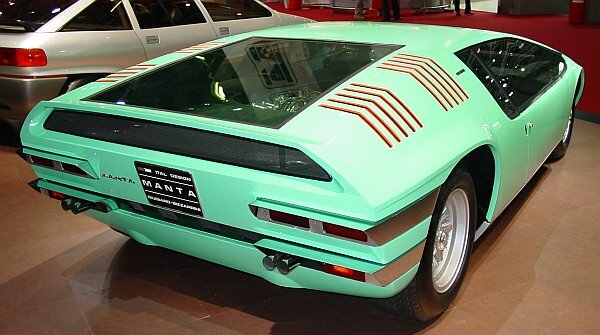 The Manta is a three-seater, with the driver seated in the middle. In 2005, the car won in Pebble Beach first price in class (American drivetrain with European coachwork). 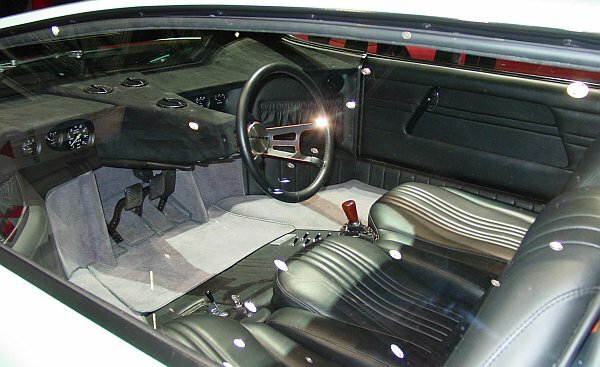 engine: V8, 5.3-litre Chevrolet Corvette "307ci"